In the article Add a Click To Call Button & SMS Chat to Your Joomla Site, I presented a ready-to-use extension, XT Twilio for Joomla to implement a simple communication channel on a website. The basic extension sends SMS messages (or supports a Click2Call workflow) between users and the sales area. In the second article of this series, How to Customize a Joomla Extension for SMS Chat, I presented a case to add the client name field to the extension and personalize the SMS messaging. 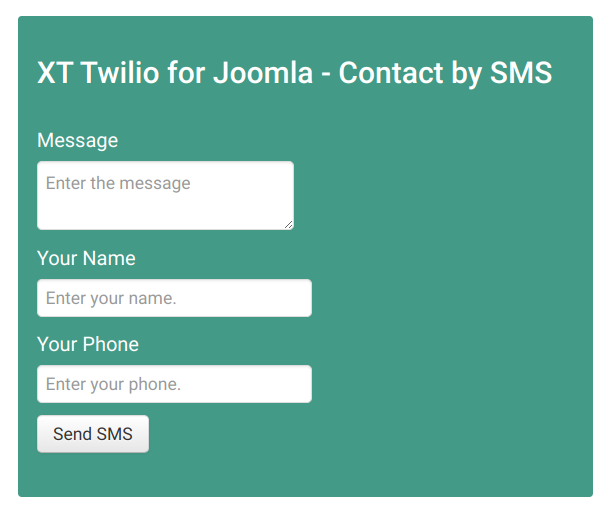 In the article Add a Click To Call Button & SMS Chat to Your Joomla Site, I presented a ready-to-use extension, XT Twilio for Joomla to implement a simple communication channel on a website. The basic extension sends SMS messages (or supports a Click2Call workflow) between users and the sales area. In this tutorial, I’m going to introduce how to solve a practical requirement of a real-world project; the need to add a first name field (and other fields) to the Contact by SMS module. Local installation of Joomla (preferably version 3.8 or superior). The full detail of CMS requirements can be found here. PHP 5.5 or superior. PHP 7.2 is highly recommended. MySQL 5.1 or superior. MySQL 5.5.3 + is recommended. A PHP development environment (only if you plan to develop your own extension). As a Joomla community volunteer, I am always looking for opportunities to help my favorite CMS grow and add new features. Following these ideas, Twilio and Joomla are a perfect match to bring the possibilities of a first-level communication platform to small and medium-size organizations. 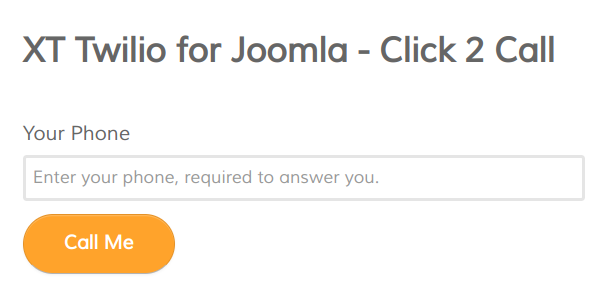 In this blog post, I am going to create the required extensions for Joomla to incorporate a simple communication channel to a website by creating a click to call button. I have planned a series of articles about the topic of implementing a communication solution for Joomla based on Twilio. In this first installment, I provide a ready-to-use extension for Joomla and the detailed steps to implement it (no coding skills are required). Later on, I’ll publish the rationale behind the development process.